Ana Carla was an amazing host - collecting me from a hotel 10 minutes from the apartment where my airport transfer left me. Her apartment is marvelous - exceptionally well furnished with every convenience. it is only a 10-15 minute walk from the Tavira Grand Plaza (shopping centre) and two major supermarkets. Another smaller supermarket is only a couple of minutes away and ideal for all the essentials. Tavira itself is lovely and totally accessible by foot - very picturesque. Ana Carla kept in touch throughout my four week stay to make sure that everything was well. If you are thinking of staying in Tavira I would recommend this apartment without reservation.- thanks again for everything Ana Carla. Hóspede muito simpático e cumpridor! Houve o cuidado de combinarmos tudo, para que tudo corresse bem e foi o que aconteceu! Tratou o apartamento como se fosse seu! Foi um grande prazer recebe-lo na espetacular cidade de Tavira! Tudo de bom para sempre! A beautiful, spacious apartment - lovely cross-breezes, and Ana was very helpful. Within walking distance from the town center, but quiet at night. Highly recommend! Hóspedes muito simpáticos e cumpridores das regras da casa! Foi um prazer recebe-los na espectacular cidade de Tavira! Tudo de bom para todos! Idealy placed apartment near centre of Tavira(10 minutes gentle walk) It is spotlessly clean and spacious. Most of all the very warm welcome afforded us was the ideal start to the holiday. Thank you so very much Ana Carla. Hóspedes muito simpáticos e cumpridores!Trataram do apartamento muito bem e deixaram-o muito bem apresentado na saída! São os hóspedes que qualquer proprietário gostaria de receber! Foi um prazer!!! Obrigada pela vossa preferência! Tudo de bom para vós!!!Beijinhos! Have just spent two weeks in apartment in Tavira very close to cafe's bars near supermarkets, and a 10min stroll to the centre. The apartment was roomy, well equipped kitchen. Although Tavira has plenty of restaurants for eating out. The balcony was sunny in the morning for sitting having breakfast. The owner was very helpful when we were booking, and met us at the apartment to show us around and gave us 3 punnets of raspberries which were lovely. Also gave us her phone number in case we needed any help. The apartment is on the third floor of a very quiet building. Hóspedes muito simpáticos e cumpridores! Houve a preocupação de combinar tudo para que tudo corresse pelo melhor! Foi um prazer conhece-los e receber-vos no apartamento! Tudo de bom para vós! Cumprimentos e até uma próxima oportunidade! Fantastic property in Centre of Tavira! Foi um prazer conhece-los e receber-vos no apartamento! Fico muito contente por terem gostado pois para mim é muito importante que saiam satisfeitos! Muito obrigada a estes hóspedes muito simpáticos e cumpridores! Houve a preocupação de combinar tudo para que tudo corresse bem! E foi o que aconteceu! Recomendo a qualquer proprietário! Tudo de bom para vós! Beijinhos grandes e até uma próxima oportunidade! 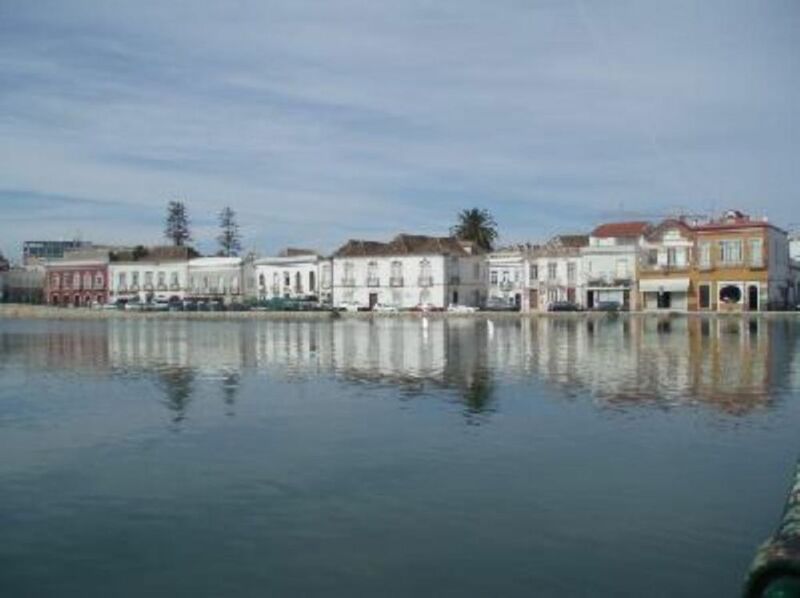 (Text automatically translated) Tavira is a city with many cultural and leisure! The food is also very good!! In the apartment you can find lots of information about the city and its surroundings as well as the various possible activities to accomplish! !